The construction industry in South West England is set to reduce its carbon footprint as a result of the ‘Sustainable Construction Strategy’ launched today. The joint industry and Government strategy has been welcomed by the South West of England Regional Development Agency (RDA) which is committed to making all its investments net zero-carbon by 2013. Mark Wray, South West RDA Professional Services Manager for Sustainable Construction, said: “We are committed to leading the South West towards a low carbon economy so we are fully behind the Sustainable Construction Strategy. 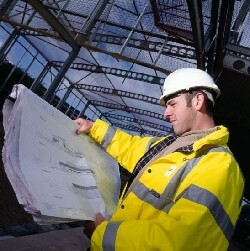 “The construction industry contributes £6.1 billion to the region’s economy and employs 196,359 people. Be it building homes, offices or roads, the construction industry impacts greatly on our ability to maintain a sustainable economy and protect our environment – for instance, every year the South West produces 12.5 million tonnes of construction and demolition waste. Business Minister Shriti Vadera, said: “Our aim is to become a world leader in sustainable construction. An efficient construction sector is essential for the investment in infrastructure and buildings that underpin our competitiveness. “With the current pressures such as the cost of fuel presenting an extra challenge for the industry, it is even more important that we encourage the sector to perform as efficiently and sustainably as possible. Improvements in these areas will save costs and increase profitability in the long-term. Today also saw the South West RDA, along with other public an private sector organisations, sign up to the ‘Construction Commitments’ – a set principles designed by industry to encourage sustainable construction. Brunel Business Park is located off Carlyon Road in St Austell and is part of the St Austell Village sustainable mixed use development which includes 150 new homes.The £4.78 million project was developed directly by the RDA and was jointly funded by the RDA and the Objective One Partnership for Cornwall and the Isles of Scilly. The development has a number of sustainable features including an earth energy heating system, rainwater harvesting and passive ventilation. It was awarded an ‘excellent’ rating for its environmental design and management in the Building Research Establishment Environmental Assessment Method (BREEAM), having scored nine out of a possible 10.